NEW! PRC-V and UPR-U are now Yaesu System Fusion Capable! These systems are running on dual mode, if you have a system fusion handheld, the repeaters will detect the digital mode and connect via digital. IMPORTANT!!! A 103.5 Hz Tone in now REQUIRED to access the club’s 2 m repeater! Don’t forget to save the change in memory on your transceivers (some rigs will forget the change on power down if you don’t save). The Peel Amateur Radio Club hosts 3 FM voice repeaters, an APRS digipeater, and a packet radio node & BBS. Currently, our 6M repeater is offline while we look to relocating it. 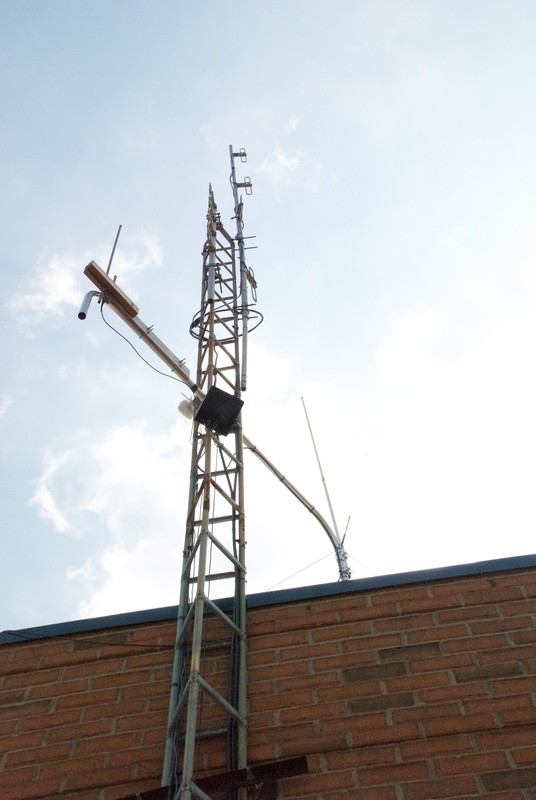 Our VE3PRC VHF/UHF repeaters, APRS digipeater, and our packet node live high atop an apartment building in the Steeles Ave./McLaughlin Road area, and can be heard past Oshawa to the East, past Hamilton to the West, well into Buffalo to the South, and Barrie to the North. The building which hosts us also runs a gas turbine powered generator, so in the event of a prolonged power failure, we can stay on the air. The Caledon repeater, VE3UPR, is located 120 ft above ground level in the North East corner of Caledon. The Club runs an IRLP node attached to the VHF VE3PRC repeater.If you are out of our repeater area and wish to connect back to VE3PRC, find a repeater in that area that has IRLP and connect to Node 2121. That is the ID of the VE3PRC node. If you wish to connect from VE3PRC to a distant node, from your keypad put in D followed by the node number you want to connect to. e.g. D9999 will connect you to the IRLP test node. To disconnect, use D73. It’s that easy. * IMPORTANT NOTE: 103.5 Hz Tone Now REQUIRED!! !